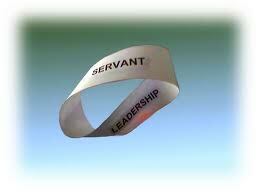 Increasingly, leadership gurus graciously accept the close link between leadership and service. New books on leadership drag into spotlight corollaries of a previously ignored simple truth of life—that we can do the most good to ourselves by doing good to others. In a matter-of-fact tone, Radhanath Swami had relegated the concept of leadership to the backstage, leaving the mood of servitude alone occupying the limelight. One could hear the audience wondering, is the seminar on leadership or on servitude? While most leaders grant servitude the status of a useful tool for effective leadership, a leader deeply grounded in spirituality considers leadership a useful tool for effective service. And ironically, this paradigm shift makes such a person the most effective leader. How? To grasp the full impact of this change of attitude, think of leaders who have substantially affected your life. It could be the President of your country or your immediate boss at office. Wouldn’t you feel more secure if they played their leadership roles—selflessly? Wouldn’t your feelings for them evolve to love—from reverence, fear or hate—if they desired your benefit—selflessly? A spiritualist’s exclusive focus on service stems from his or her deep conviction that only service can give real happiness. Accumulation of any kind could satisfy the mind or the ego, but not the heart. The heart is on a crusade for love, and love is all about service. A spiritualist’s mission therefore is to fine-tune the desires of the mind and the ego—that now desire wealth, prestige or position—to match the desires of the heart, which always desires nothing but selfless service and love. This fine-tuning is made possible by determined spiritual practices, technically called sadhana in Vedic spirituality. In Vedic India every prince underwent rigorous sadhana prior to ascending the throne. This ensured that the King, during his regime, heard and followed the cry of his heart for selfless service. Today the world needs such selfless servants in the garb of leaders—more than ever before. About the Author: Gopinath Chandra is a resident of Radhagopinath Ashram that’s run under the guidance of Radhanath Swami in Mumbai. For many years he has been the privileged observer of Radhanath Swami’s leadership principles in action, be it in the sphere of ashram development, community building, social service, or environmentalism. Gopinath Chandra keen observational ability, coupled with his analytical brain groomed at the prestigious Indian Institute of Technology (IIT), allows him to be a fast learner. And on this blog he generously shares leadership lessons he has assimilated over the years. More from this author. Beautiful! Leadership a useful tool for effective service. amazing article. i especially liked the paradigm shift of Radhanath Swami in giving priority to service rather than leadership position. the heart is on a crusade for love and love is all about service. this is a brilliantly written piece. also the point of leadership is very clear. we want to serve and if being a leader helps, we accept it. thanks a lot siddheshwar for this article. Yes. Such servant leaders are now the need of the society at large. A very novel and revolutionary concept. Its a beautiful, inspirational and informative article for doing selfless service. Thank you Radhanath Swami. Amazing article – Wonderful instructions on becoming an effective leader. Wonderful article!A whole new perspective about leadership. Excellent article. The importance of serving has been extremely well illustrated. I am sure we all would love to be under such leadership. Brilliantly explained by Radhanath swami. Thanks for sharing. A great inspiring article . Makes you think. And produces a special pleasant feeling in the heart that comes only from spiritual musings. Thank you. We are eternally grateful to Maharaj for guiding the world and creating awareness among leaders to serve the society. Bhat's article has hit the nail on the head. It could not have been explained better. Radhanath Swami really seems to be knowing what he is talking about here. Thank you swamiji for opening a new window on this topic….. So wonderful, so down to earth, adn with in everyone's experience. It's absolutely amazing how Radhanath Maharaj says exactly what he wants to convey and leave the audience wondering! that's why Radhanath Maharaj is one of the most sought after spiritual Leaders because he drives the point home through his own example of servitude. Wonderful perspective on leadership, and it makes lots of sense too. Thanks to Radhanath Swami for presenting this aspect of leadership as a service. Radhanath Swami' teachings are for all to follow in life. this should be told to politicians as well. World needs such types of leaders. Such articles can really help one to become great leader and inspiration to many people. In this article author is fully succsessful in describing the who is actually a leader is?The one who is only intrested in possitoin of leader or one who is offered possition of leadership by others seeing him serving then selflessly?Unfortunatly in todays world everybody wants to become leader without any serving attitude,serving their own intrests.As described by author many leaders with serving attitude are required to fill the big gap created by todays selfish leaders.Thank you very much Siddheshwar Bhat for sharing such a inspiring article. So practical. Even the so-called leaders today will experience heart transformation following this approach. Yes the society today needs leaders with qualities of servitude and humaneness as mentioned. Very nice article. Through sadhana one becomes selfless and then acquires the qualities of a leader. All glories to Radhanatha Swami. True definition of leadership is taught by Maharaj. Wonderful article on Servant Leadership.Thank you very very much. very true, a great leader genuinely considers himself as a servant. Thank you Maharaj for such an Enlightening article, I especially liked the statement: "Our aspiration should be to serve. Leadership is just a wonderful opportunity to serve". A very beautiful lesson of leadership. These are something to be taught to our modern day leader, we shall then find a society based on principles and ethics. This article really puts forward a shift in consciousness, the post of leadership is secondary to the primary mood of service, which is enriched by determined and steady spiritual practices. A beautiful explanation. One would not normally equate leadership with servitude but this article has so wonderfully coupled both together demonstrating how such combination is a powerful tool in serving humanity. Before we can learn to lead, we should learn to serve. Leadership without service attitude can lead to mere arrogance. I have read many leadership books and articles but none so concise and deep as this one by Mr Siddheswar Bhat. It was like an awakening for me to understand what real leadership means. The author is perfectly right when he says “While most leaders grant servitude the status of a useful tool for effective leadership, a leader deeply grounded in spirituality considers leadership a useful tool for effective service”. A servant and a leader is a rare combination for one who does not understand the real essence behind effective leadership. Eye-opener on what a leadership role is for – only to serve! The conclusion of this article demonstrates the urgent necessity of selfless leaders. Servitude and Leadership – there is a quintessential corelation as described by Radhanath Swami. Thank you Swamiji. Our scriptures show the examples of real leaders..We need to follow on their footsteps to become meaningful leaders.